Weight loss could be crucial for patients that are overweight or obese. Around 25 per cent of all adults in the UK are obese, said the NHS. Long-term lifestyle and diet changes could help some patients to lower weight, it said. Taking weight loss supplements may provide people with the kickstart they need for their diet plans. 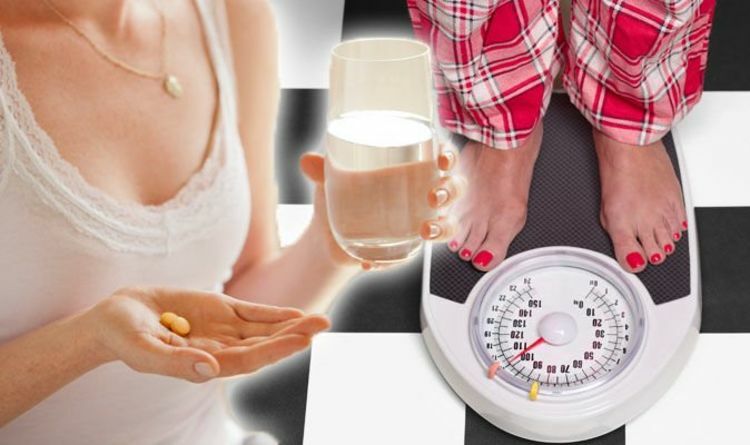 You could raise your chances of losing weight by regularly taking glucomannan supplements, it’s been claimed. Glucomannan is a type of dietary fibre that stems from the root of the konjac plant, said medical website WebMD. It comes as a powder, or as a capsule, and has been linked to treating constipation, high cholesterol, and high blood pressure. It could also help some overweight patients to lose weight, revealed dietitian Helen Bond. But, it comes with a warning. “As we explore the many ‘quick fixes’ and ‘miracle diet pills’ being offered to us over the season of clean eating and waistline watching, it’s important to be aware that as attractive as they sound, there are no true quick fixes or magical solutions to burn fat and lose inches,” said Bond. “The key to losing weight and keeping it off is always to eat a nutritionally balanced and varied diet, with appropriately-sized portions and being physically active. “Glucomannan is approved by the European Food Safety Authority as a ‘proven and safe’ aid to weight loss, and has the added advantage of helping to maintain healthy cholesterol levels. “But, although glucomannan can help take the edge off hunger [when one gram is consumed with a glass of water before a meal) it’s not a green card to continue to eat whatever you want. Glucomannan works by slowing down the absorption of sugar and cholesterol from the gut, said WebMD. The dietary fibre also absorbs water in the stomach and intestines, which could be used to treat constipation. But you should always speak to a doctor before starting, or making any changes to your weight loss diet plan. The best way to boost weight loss is to make some small, simple changes to your diet or lifestyle, said the NHS. One of the easiest ways to slash the pounds is to eat regular meals – including breakfast, it added. Drink plenty of water, and be sure to eat at least five portions of fruit and vegetables every day. Fibre-rich foods help you to feel fuller for longer, which stops you from overeating. Exercise is equally as important as a healthy diet. Aim for at least 150 minutes of moderate-intensity activity every week.